Good review thanks Laura and congratulations on your success with the Swans, the tournament was richer for having you here. Yes let's hope the AFLW scouts are prepared to take a punt on some of the talent. As I've said elsewhere I really think the AFL should allow 1 international rookie spot to each AFLW club in the same way the men have it. 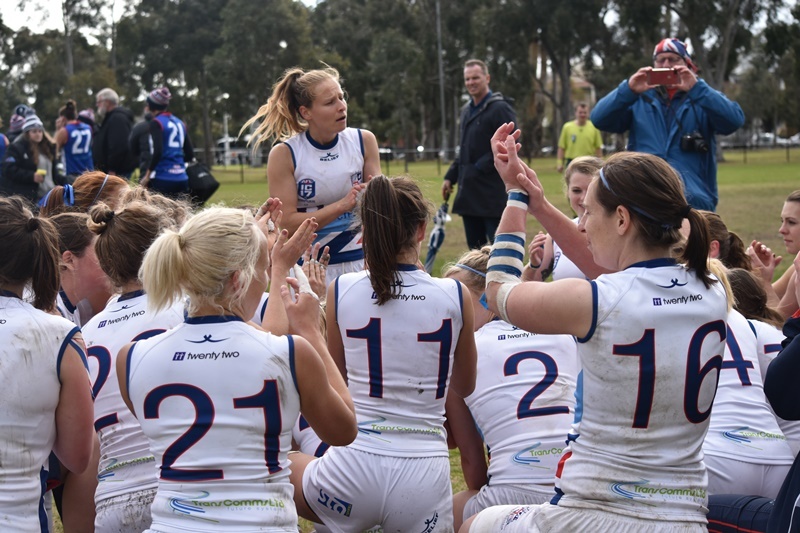 I put it to them directly and was knocked back, but would love to see a campaign pushed by the international women, by AFL Europe, by the people behind girlsplayfooty, by the AFL Players Association. The cost would be minimal, the opportunity, experience and motivation would be huge, and it could only enrich the AFLW. 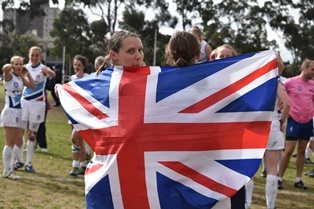 I also note that quite a few of the AFLW players that were poached back from other sports said the reason they left was the lack of a pro league (now being addressed by the AFLW) and lack of opportunity to represent Australia... the AFL needs to act now to fast track the women's international game so that Australia vs The World might be something possible in future. I should've written all this up as an article and may still do. I'm also interested on your thoughts about 18 vs 16 a side. I've been a strong advocate for years that it reduce to 16 a side. The game in general is far too congested due to tactics and player size and athleticism and fitness. Everyone agrees with this yet people say leave the game alone, but the game itself has changed and not for the better in this aspect. 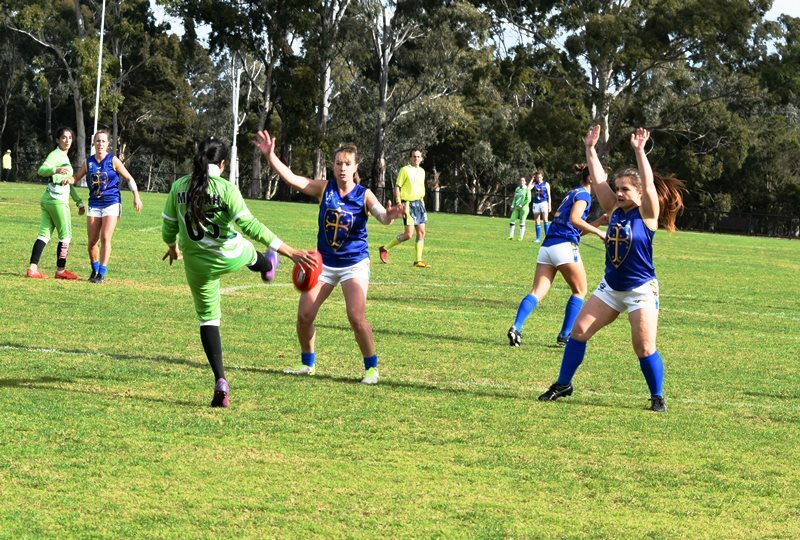 All sorts of radical changes have been suggested to address this yet 16 a side appeared taboo until the AFL chose to go that way with the AFLW. As a spectator you don't notice it (except less congestion). I suspect as a player it would be barely noticeable. And teams never line up with 2 forward pockets so dropping one and the backpocket makes little difference. 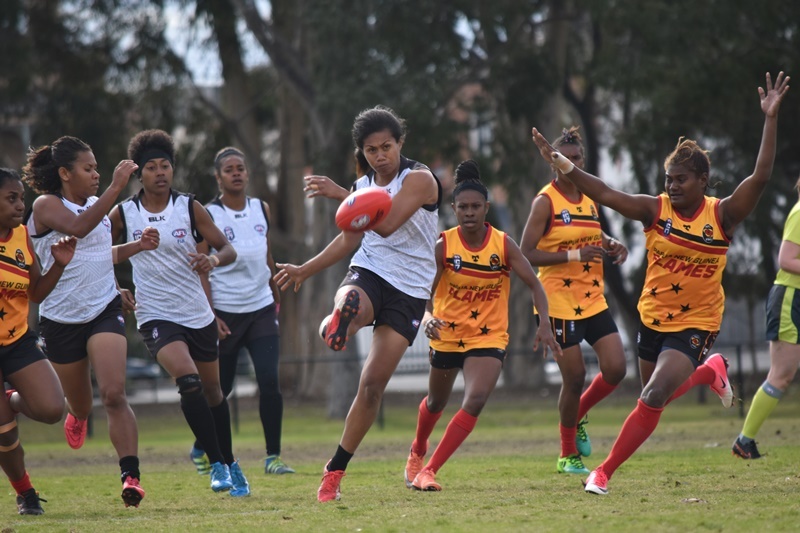 I think 16s was a great success for the AFLW and has other advantages. So off my soapbox and over to Laura - I'm interested in your opinion (and anyone else's) as to whether you think the IC should be 16s for women (I assume it was 18s, I didn't actually count). There was a lot of congestion and I think the game would have been better at 16. And if IC20 was to be 16s do you think the women's league back home would go to 16s happily enough? Regarding the number of on field players I would welcome the change to 16 a side as a player the game certainly does feel very congested at times. I personally know that many of my teammates posses very accurate and composed kicking and hand passing skills that were difficult to showcase during the International Cup because of the number of players swarming the ball. In Europe we play a lot of 9 a side games due to a lack of ovals (9 a side games are played on a Rugby pitch) which are brilliant for allowing players the time on the ball to run and carry and play more exciting, positive and impressive football. I agree that with two less players on the pitch it is a practically undetectable difference to notice, take the AFLW for example, there has been little or no criticism of the reduced numbers and it has allowed the game to be a more open and exciting affair. Some might argue that these changes to the rules are changing the game and taking it away from its historic form but there is nothing to say that in a few years time the decision might be reviewed and a return to 18 a side could happen. If it is good enough for AFLW it is good enough for me! Back in the 1950's - 1970's the Victorian Football Association (VFA) played at 16-a-side for who knows for how many years. The VFA contested the AFL/AFC night tournament(the VFL considered the contest beneath themselves) along with SANFL, WAFL and I think teams from Tasmania if I recall correctly, So playing 16-a-side is not new.